Welcome to HomeSnipe Real Estate, LLC where Real Estate transactions begin and end with pleasure. We work 7 days a week to serve Your Real Estate Needs in the Lehigh Valley area of Eastern Pennsylvania, Northampton, Berks, Montgomery and Bucks counties. Begin your dream home search through 1000s of homes on the Buyer's section. 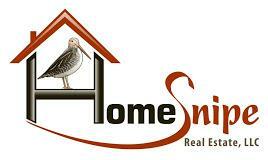 Sellers, looking for TOP $$$ for your home please visit the seller's section. We continue to see some improvements in the housing market in the Lehigh Valley. This may be a sign that consumer confident are better or just the good weather we have been having. Please feel free to browse through this site to explore the communities of Lehigh County , Allentown, Bethlehem, Macungie, Emmaus, Whitehall, Salisbury, Fogelsville, Coplay, Catasauqua, Cementon, Schnecksville, Slatington, Walnutport and surrounding areas. This comprehensive online tool offers direct access to the latest properties for sale in your area. Featuring extensive community information, consumer links, school information, free reports, answers to commonly asked real estate questions, and more, you'll find everything about real estate within one easy source.